each altered and embellished in their own way. 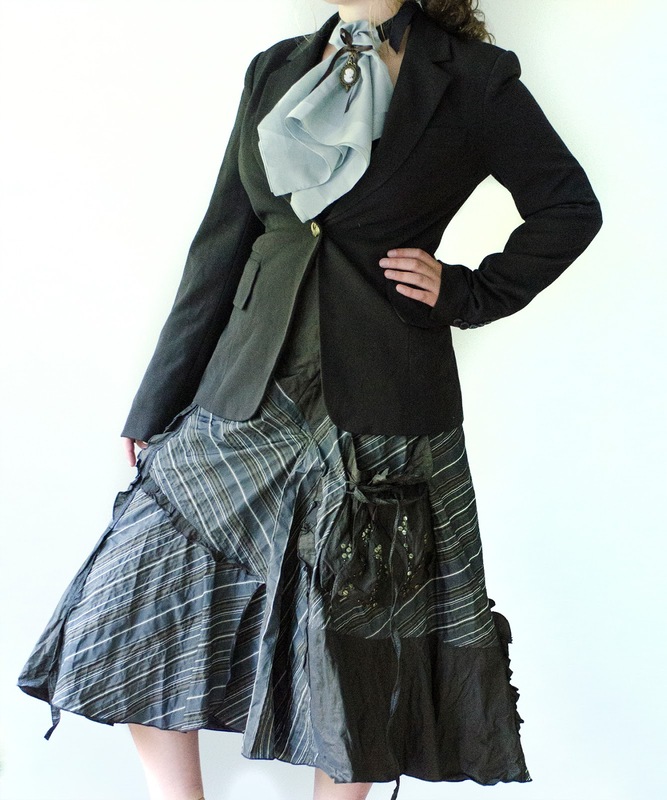 The suit jacket and skirt have been washed, mended, and altered. The suit has been embellished with a vintage brass button and has a silver key attached to one pocket. 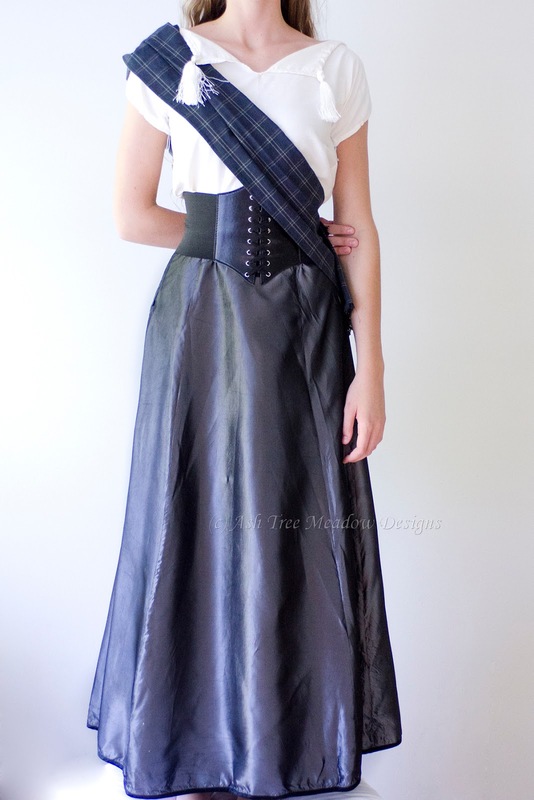 The skirt is made on the diagonal with a gilded pocket that appears as a sachet. Time has been merciful to these pieces as each is in new condition. High leather boots are going to look great with this one! 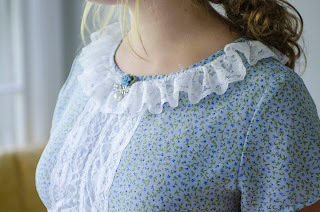 The neck choker is made of a vintage kerchief, ribbon, and embellished with aged chain, and a cameo medallion. 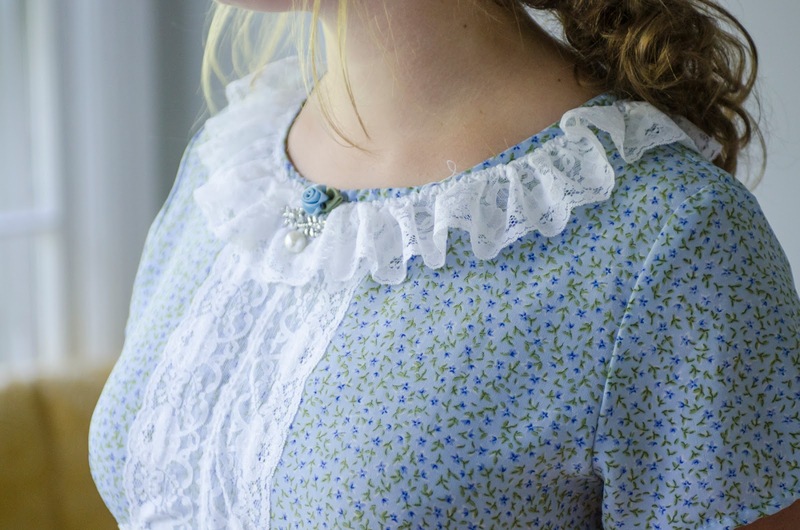 The choker tied behind the neck, creating a time-warped image of the victorian cravat. 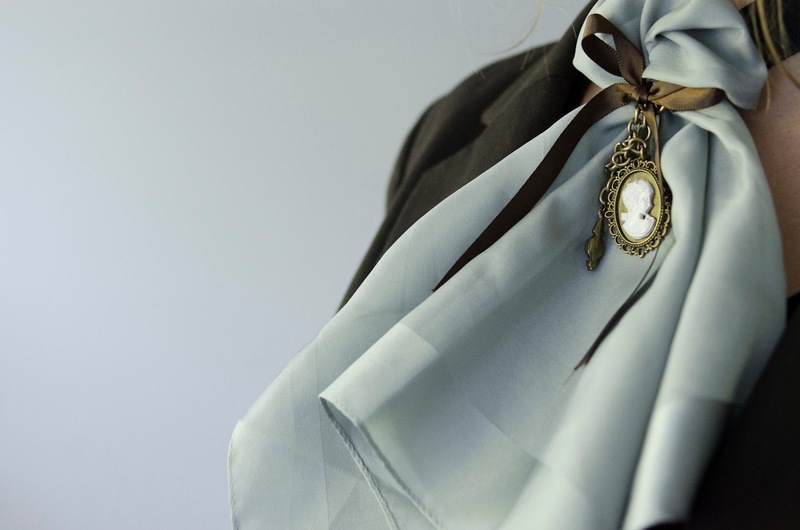 Here the stylish cravat and the lady's choker have morphed into one. Today, it rained all day, and it was a seemingly long day. I opened the windows and doors to let the breeze in and worked on some editing, and did a bit of sewing and crafting as well. Yet, since I did not finish my current project, I will share my most recent addition to Etsy. 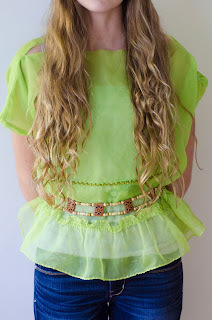 This time a super cute Boho shirt made from vintage curtains! selecting "Like, Interesting, Love this" below! Today's project was to make a chair slipcover for a chair from Ikea that is no longer stocked. I received the old tattered slip cover, and was commissioned to remake it in a lovely pinstriped charcoal. (see close up below). It was a enjoyable one, but a challenge, as I did not have the chair! First, I took the old slipcover apart, numbered each piece, then used each piece as a pattern. I then numbered the underside of the fabric with chalk and piece it all together! 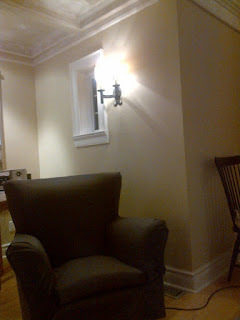 This is the picture sent by my customer, who was very satisfied. Although, my perfectionist side is telling me that the wrinkles in the arms should be corrected. But, I suppose it is a slip cover, yes? 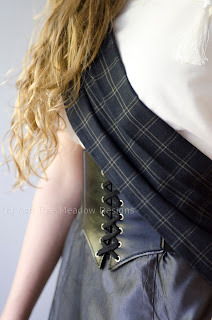 And what is next on the agenda for Ash Tree Meadow Designs? Well, we have a series of costumes to show you - *drum roll* - the professional photos! Yay! As for me, I will be crafting up a special gift basket for our giveaway winner, Lisa Bennett. 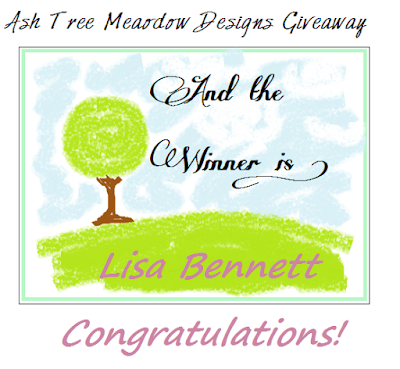 Who, when presented with a choice of gift basket, chose our Ash Tree Meadow Design Accessory Basket - and I am so excited! Pictures, of course, to follow! 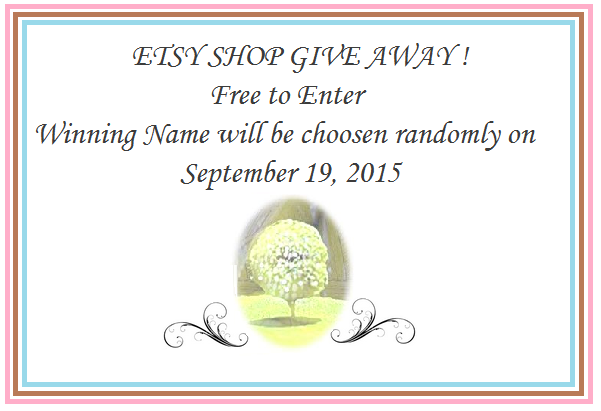 Thank you to all of you who participated in our shop giveaway. I truly appreciate all the likes and positive comments, along with the general goodwill. Thank you also to all my wonderful customers, with out whom, I would be lost among mounds of inventory! And our very last design in this challenge is our Medieval Princess. But don't worry, we will be making more! Just not posting daily, haha, that was a ton of work! I hope you have all enjoyed our designs and our featured guests! 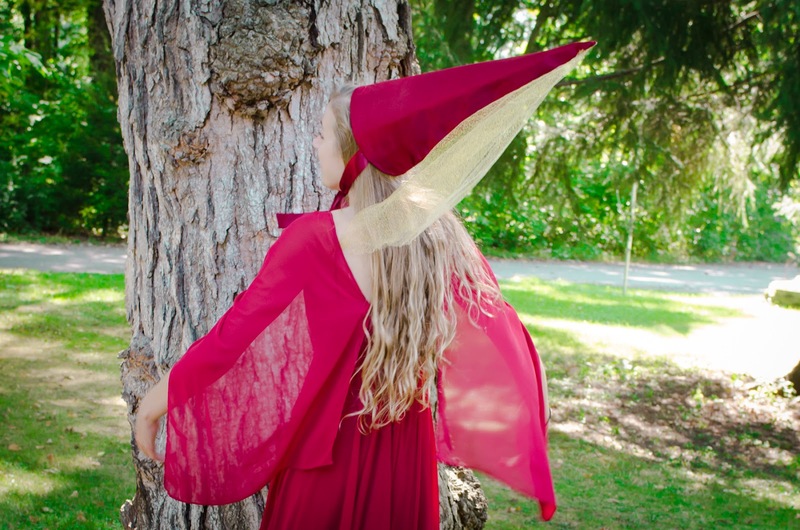 This dress is styled after the storybook princess. It comes with a tall pointed princess hat, made by my sis-in-law, Isabel. Today is the last day to enter our Giveaway! The Draw closes at 12:00 p.m. midnight! Thank you for supporting us during this challenge! Well, tomorrow the draw closes! 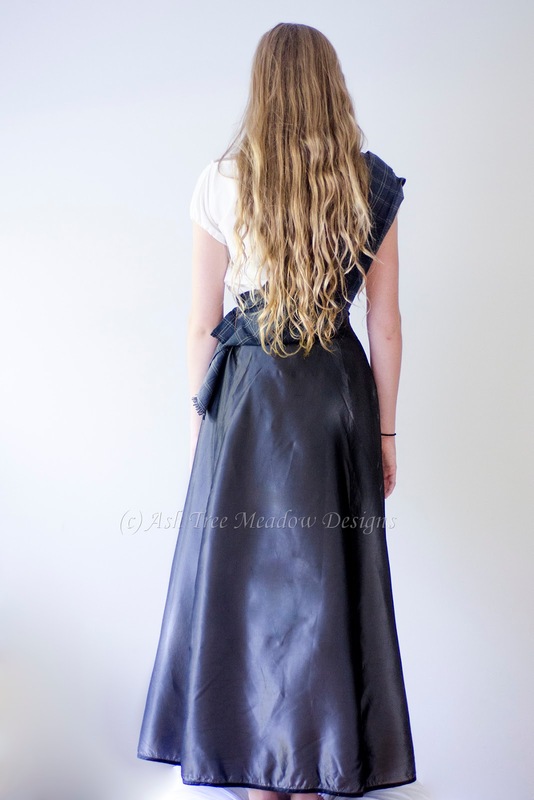 Here is our design for today, a simple regency costume. This costume is an up-cycle. We upcycle by using a basic dress and then altering it for a different look. This is the reason many of our costumes are very inexpensive. For this one, I chose a simple blue flowered dress from the 90's, I pick these up at second hand stores. Naturally, first, it is washed and reviewed for any marks or damages. Then I added lace, a ribbon rose, and sewed on a silver and pearl broach. 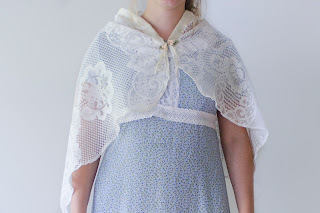 I then made a lace shawl which I cut from lace curtain. This is our way to help the ecosystem and provide affordable costumes. Naturally, not all of our creations are upcyclced, these days fewer than some; however, we love it when we can manage it! 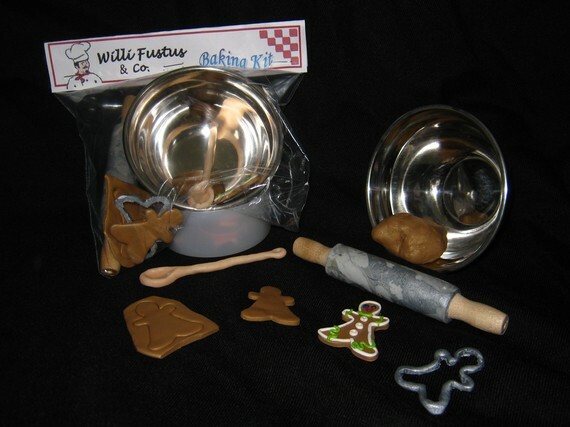 The Willi Fustus Store makes doll food for American Girl sized dolls! 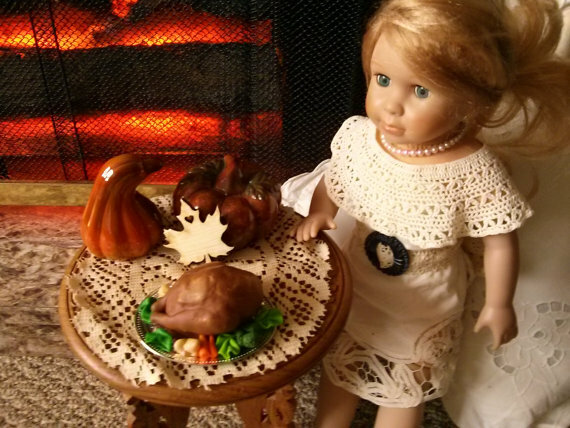 Their items are all hand made, and they are one of the first shops on Etsy to make this kind of toy food. Stop by this Etsy store to see the super cool items they make. There are only a few items in stock, however, more are coming sometime this month! 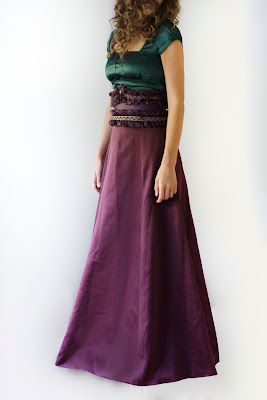 The first unveiling of our Italian Renaissance Costume! You can imagine my thrill when I was directed first to her facebook page, then to her website. Just look at these cakes! They are incredible! I naturally had to feature Kāke on my blog, and I hope all of my readers head over to her facebook page to see the latest designs and be sure to like her page when you visit! All of the cakes at Kāke are original, so expect to be wowed! She also makes and decorates cookies (above, left), so much creativity here. And yes, this hamburger is a cake! Another fascinator today! Black lace with a slight gauzy fringe and a burnt fuchsia rose. Yes, truly, a burnt fuchsia rose. This burning technique can be kind of dangerous! Thankfully, this time all went well! This is a photographer who adds creative graphic designs to her photography! 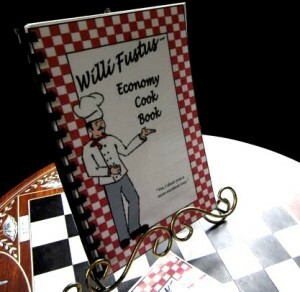 From birth announcements to christmas cards, you can have yours made up in this special way. Isn't the wee babe in the blue blanket adorable? Or maybe you would prefer a fun session with your twins each wearing a hat ~ Thing 1 & Thing 2. Visit Dodson Photography to view more! Natural color straw, silken forest green ribbon, dusky green flowers. I can't even begin to explain how excited I was when I finished this one. I had quite a bit of trouble with the stitching of the straw braid. Yet, it all turned out well. Love to hear your comments! And now for our featured guest, a friend of mine who makes beautiful cards! I heartily encourage you to visit Julia's blog! 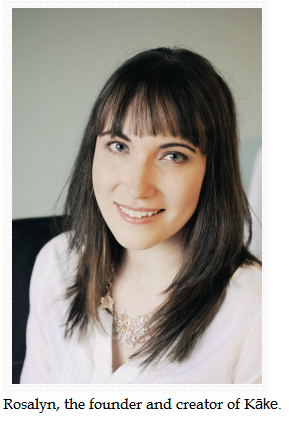 She has a lovely site and so many beautiful cards in her portfolio! Each card is so unique and beautiful! Buttons, twine, flowers, and clever sayings adorn these beauties! Be sure to visit her site, these make excellent gifts! Well, one last parasol for good measure - No Promises! lol However, this one is the best parasol to-date. 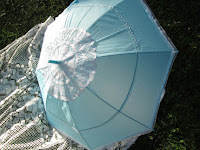 Abby did an awesome job decorating my white-on-white parasol! From Minions to Monsters to Raggedy Anne, there are so many cute outfits in Melissa's shop! I can't get over the Minion outfit! Minions are certainly taking the world by storm! Be sure to stop by her facebook page and etsy store! Well, today I finished another historical piece. This is a civil war fascinator-hat with matching black gloves and shawl. Professional pictures will need to be take for this as well. 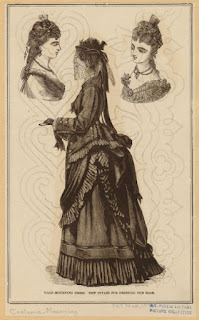 I took my inspiration from the above picture of this Victorian clothing advertisement. I think it turned out very well, and I am looking forward to making a matching dress for this one. Alberta residents, you will love this! This lovely photographer takes creative and elegant photos. Be sure to stop by and check out the other pictures she has! Day 33 of the 40 Day Challenge: Historical Regency Wedding Bonnet and Little girl dresses! 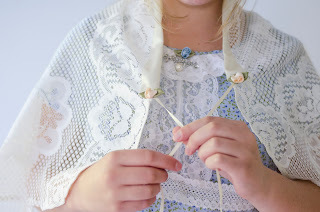 Well, today, I worked on perfecting my bonnet design. I began with a form and after forming the crown and brim as desired. I trimmed the back to adjust for a neck, finishing the entire hat with a straw braid to cap the edges. The hat is trimmed with white roses and primroses and ties with a white ribbon that ties under the chin. 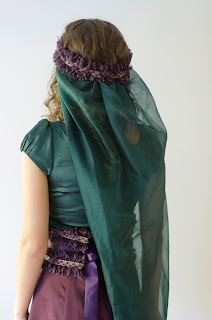 This bonnet style is a completely new design. And now for our featured guest who makes lovely little girl's clothing! 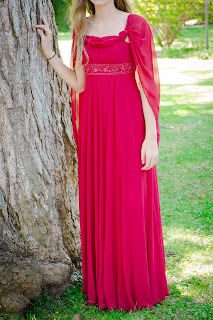 Sheena Cruz makes beautiful little dresses! I love the ruffles and the pretty colors! She has just began to create her line and sell. But I encourage you to visit her facebook page to keep up to date with the latest designs!